I love this one. There are some parts in the book that didn't make it into the movie, but that's the case with most book to movie conversions. In any case, the main reason I like this movie is the comedy that comes with it. "Well then, come along, Sir." I also found the overly dramatic Quidditch saves by McCormack, and later by Ron, to be hilarious. On the other hand, the relationship between Harry and Ginny was done poorly. In fact, the movie sort of only mentioned the whole part with her dating Dean Thomas, who - by the way - Harry should have bumped into after drinking the potion. Eh. They changed that one scene around and from my point of view it puts someone in a better light compared to the book, but it doesn't change how someone else views that someone. Lol. Note: You should read the seventh book to know who's side that someone is on. Speaking of which, or should I say, speaking of witch... haha... no... 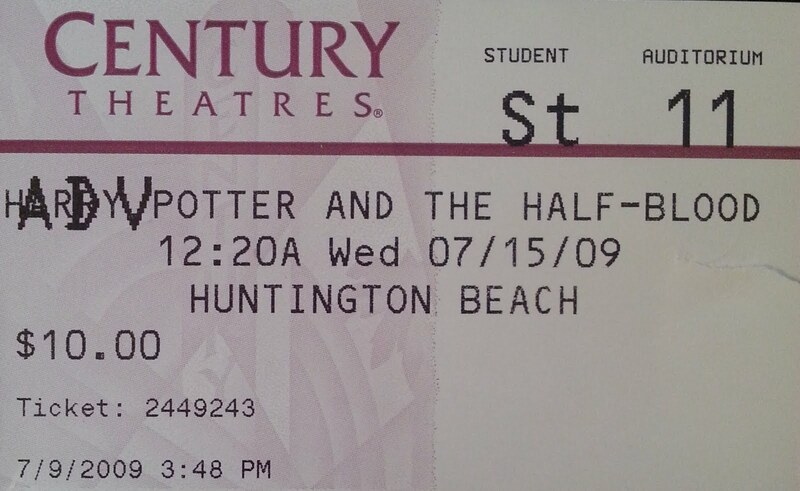 The movie is Harry Potter and the Half-Blood Prince. But since the movie doesn't really focus as much on who the Half-Blood Prince, it sort of fails in that respect. I watched all, at least I think so, the special features on the Blu-Ray disc. The one about J.K. Rowling was so long. Interesting, but long, especially taking into account that I was up really late, interested, but sleepy, while watching it. I fell asleep for part of the movie, possibly because I was tired from surfing. 1: Mmm yeah... I don't quite like Dumbledore's choice of tone at this opening scene. 1: What's wrong with Harry's eye? LOL, apparently Phuong has noticed before and thinks it's the angle of his glasses. 1: Wink and ding from the one guy at Hermione in Zonko's shop. 2: Oh, he did in fact have Wrackspurts hovering around his head! Luna Lovegood: That's all right, it's like being with a friend. 1: Change from Tonks to Luna, LOL Ratspurts. 1: It's so nonchalant "Okay yeah, give it a go"
1: In Harry Potter and the Half-Blood Prince, Hermione does not say what the third thing she smells is, although Rowling revealed in an interview that the third smell was Ron's hair. However, in the film version, Hermione states that the third thing she smells is spearmint toothpaste, due to the fact that in an earlier scene at The Burrow where Ron points out to Hermione there is toothpaste on her face. 1,2: With a big grin, "He needed ten stitches." 1,2: LOL Harry stands for Ginny. 2: "I know. I suppose I could've just used a Confundus Charm." 1: Oh wow, I don't remember that, pans from Hermione and Harry to Ron and Lavender to Malfoy. 2: It's the place to be. Haha. Harry: then by all means, come along sir! 2: Dumbledore cuts his hand and spreads it along the rock without flinching. 1: I woke to see Harry and Dumbledore in the cave. Dumbledore begins to describe the situation. I missed my favorite: the pincers. 1: LOL. Both Josh and I independently wondered, why not cast the spell directly into the shell? 2: One of the spells Harry casts is sectumsempra. 1: Okay yeah we see them go in one cabinet and out the pair. 2: In the book Harry was immobilized by Dumbledore. The ink from the pensieve. Harry Potter 1: Cute movie, you get the whole school year. Quidditch very exciting. Harry Potter 2: Close to, but not as good as the first. Still much fun. Harry Potter 3: Azkaban. The worst one... I forget why. Maybe they changed too much. Also... I think at this point forward, the movies remove most references to the house-elves. For example, in book four, Dobby gives Harry the gillyweed, not Neville. But it's understandable. Dobby was essential to the plot in 2, but if they can avoid using CG, they probably will. Harry Potter 4: Tournament. Lot's of fun and excitement. Better than 1. Harry Potter 5: Order. There's not too much action, just at the end I guess... I'd put it under 2. Also, it didn't have Quidditch. Harry Potter 6: Hmm... Unlike 5, it could have had more action but didn't. The Quidditch always makes things more fun. This is hard, so for sure it's better than 5, but is it better than 1 or 2... I'll just say it's better than 2 but worse than 1. Compared to Rotten Tomato scores, I severely underestimated the third film and slightly overestimated the first one. On the other hand, I managed to be in agreement on the fifth, second, sixth, and fourth film. I was talking to my friend recently and made some new rankings. Unfortunately, I don't remember them exactly, but they were different from the above and was roughly 6 > 5 > 1 > 2 > 3 > 4. * In our conversation I praised the first film because it closely followed the book and the book dishes out a full year's worth of adventure. Furthermore, the first story gets the pleasure of introducing its readers/viewers to an entire world. Having voiced a dislike for the fourth film and not knowing where to place the third, I decided the fourth film would be ranked last and the third film would be ranked second-to-last. 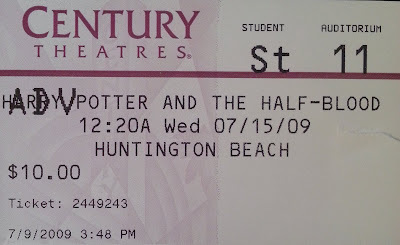 In the end, my ratings seemed to align with the following observation: all the Harry Potter movies (1 to 7.1) are just about equally good and what makes one better than the other for me actually just comes down to which scenes stand out (and that changes with time). However, there is no question I would place Harry Potter and the Deathly Hallows: Part 2 (2011) above the rest. Harry Potter 4: tournament; lot's of fun and excitement; better than 1. *While at the time (20110716) I might have considered the fifth film being better than the sixth, I recently saw both (20160801, 20160802) and the sixth film was, taken as a whole, better than the fifth one.